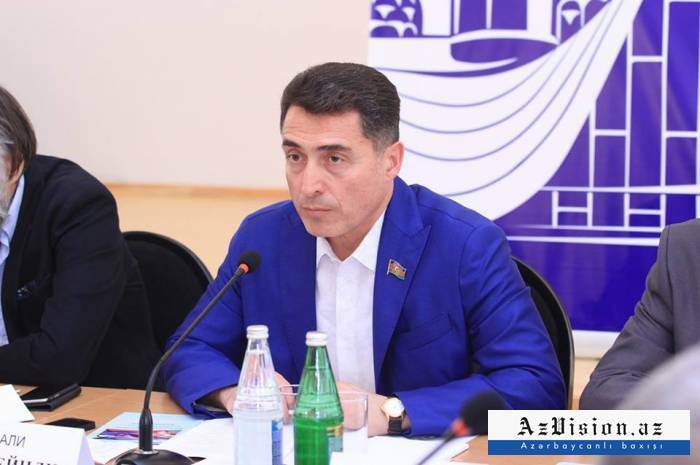 The conference entitled "Azerbaijan is Russia's only ally in the Caucasus" is being held on July 1 in Jojug Marjanli village of Azerbaijan’s Jabrayil district which was liberated from the Armenian occupation. Russian famous public figures, members of the State Duma of Russia, including Leader of the International Eurasian Movement Aleksandr Dugin, public figure Maksim Shevchenko, Deputy Chairman of the State Duma Committee Dmitry Saveliyev, assistant to the Speaker of the State Duma of Russia Vladislav Kalkhidov and others arrived to take part in the conference in Jojug Marjanli. Speaking at the opening ceremony of the conference, Ali Huseynli, Chairman of the Parliamentary Committee for Legal Policy and State-Building, said that such an event, when the Russian and Azerbaijani specialists are discussing the relations between Russia and Azerbaijan on the Nagorno-Karabakh territories which were earlier occupied is being held for the first time. He stressed that the relations between Azerbaijan and Russia are fraternal. 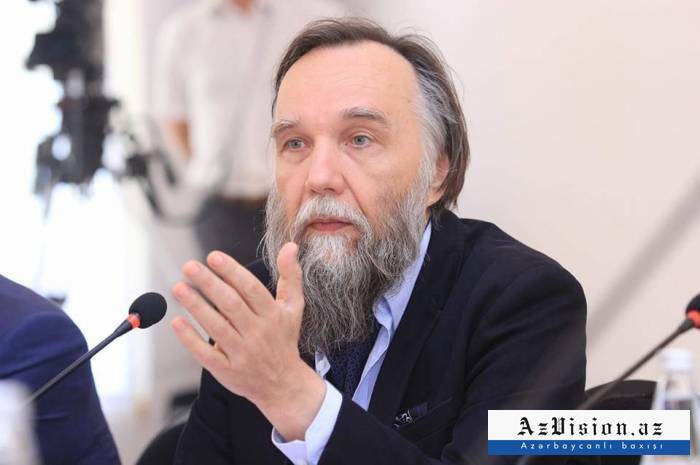 In his turn, Leader of the International Eurasian Movement Aleksandr Dugin stressed that the relations between Russia and Azerbaijan continue to strengthen. “The union of the peoples of Russia and Azerbaijan is complete, real,” he said. "We want to express our solidarity with Azerbaijan for its right to peaceful coexistence.” Azerbaijan is Russia's only and main ally in the Caucasus." He added that Azerbaijan's role in the strategic plans of the Russian Federation is steadily increasing and common positions on a number of issues have been formed between the countries. 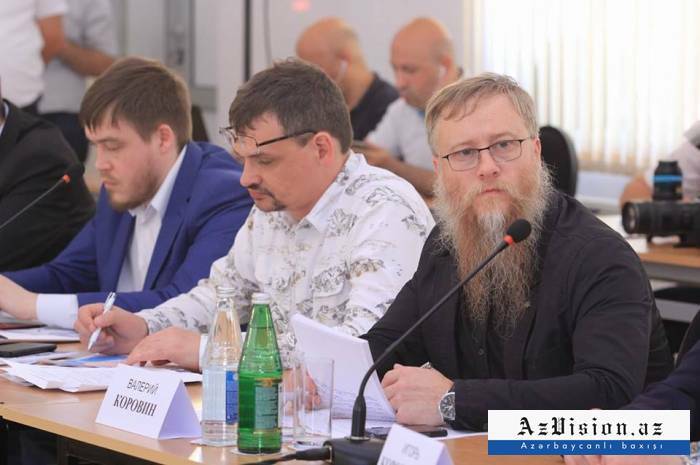 Dugin stressed the need to respect sovereignty and national identity. "The return of the five districts is the only alternative solution for unlocking the negotiation process,” he said. “The parties were close to the agreement. Azerbaijan was ready to make concessions. These agreements must be observed. This is Russia's position. This is the position of the Russian president." In his turn, Member of Russia’s State Duma, United Russia party member Alexey Yezubov stressed that Azerbaijan and Russia are self-sufficient countries and on this basis the countries build their relations. "Russia's position on the Armenia-Azerbaijan Nagorno-Karabakh conflict is unchanged, we hope for its speedy settlement," he said. Member of the Azerbaijani parliament, head of the Russian community of Azerbaijan Mikhail Zabelin stressed that about 150,000 Russians live in Azerbaijan, who observe the movement of Azerbaijan towards Russia with satisfaction. Zabelin stressed that many Russians living in Azerbaijan fought in Nagorno-Karabakhregion and gave their lives for it, not for the sake of rewards, but for the sake of their Motherland. In his turn, Azerbaijani MP Elman Mammadov noted that there is very modern and equipped Russian military base in Armenia. "Russia defends the air space of Armenia which means that Russia has many levers of pressure on Armenia,” he said. “We hope that Russia will take a fair position on this issue."